Last night’s League Champions Korea matches were punctuated by another loss for SKT T1. A team known for multiple world championship titles tacked another game into the loss column, and this one was particularly humbling. SKT’s opponent, the Afreeca Freecs, have historically upset SKT across several seasons. For some reason, the Freecs have SKT’s number. But a 1-4 SKT needed a win to close out week 3, and the Freecs would not accomodate them. Across two games, the Freecs shut down SKT in almost all aspects. Game 1 had at least something of a back-and-forth, but game 2 was a complete shutdown. Only three kills total for SKT, with Freecs’ marksman Ha “Kramer” Jong-hun putting up six kills and zero deaths. SKT looked scattered and lacking confidence. 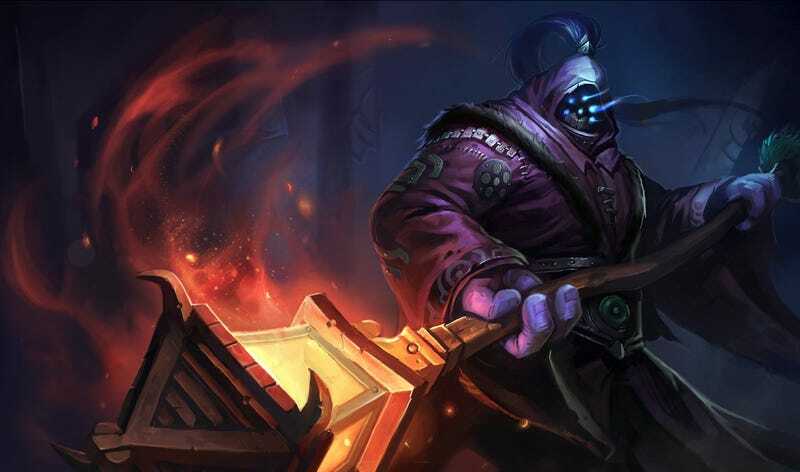 The real twist of the knife was the game 2 post-game stats screen, showing Kang “Blank” Sun-gu’s Jax as having done only 612 damage to other players throughout the entire 38-minute match. For non-League of Legends players, that is painfully low. The match left SKT T1 at the bottom of the standings at 1-5. Now, this isn’t the first time SKT has had to climb back out of a hole. In 2016, they were at 5-4 before bringing on Blank, where a massive run across six weeks pushed them into the playoffs. This roster has often times put up odd results in group stages or early matches of the season, only to bounce back to the top of the standings. But this time, it may be some cause for concern. SKT lost a lot of talent in the post-Worlds shuffle, including Peanut, Huni, and Bengi. The lanes aren’t clicking like they used to. Despite star player Lee “Faker” Sang-hyeok’s best attempts to carry the team (he had 100 percent kill participation in both games against the Freecs), this SKT squad needs more than one hero. And it has not yet found one. Next week SKT faces the bbq Olivers and a strong KSV roster, so they will need to figure out where the wheels are falling off the wagon fast. If you’d like to watch the SKT-Freecs match in full, you can find the VOD in the LCK’s Twitch archives.